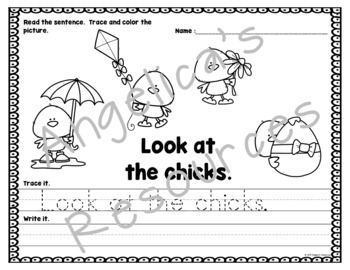 Your students will have fun coloring the pictures for the sentences. Then, they can practice tracing and writing the corresponding sentence. 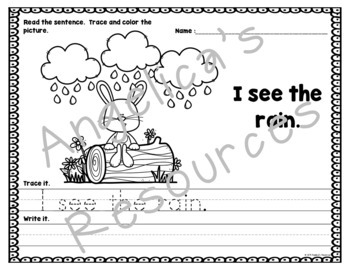 These early reader printables will help your students increase their fluency and gain confidence, as they focus their reading skills on the sight words: look, at, the, I, see, like. This resource will engage your students! Every page has strong picture support and large print. Wonderful to also use for workshop time, homework, and centers. 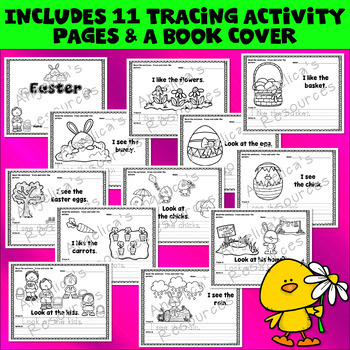 Also includes a cover sheet, if you would like to create a Being an Easter Book. These printables are convenient to use throughout the year to ensure students are practicing: sight words, letter formation, sentence structure, spacing when writing, and their fine motor skills! 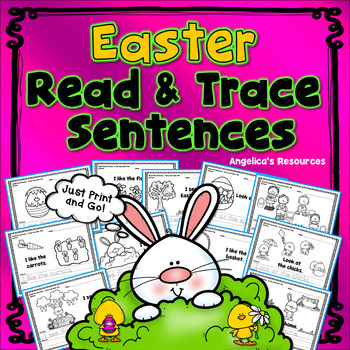 Five Senses : Sentence Tracing - Includes Sight Words - Just print & go! Check out these activities, guaranteed to make learning fun!